Sam Eubanks unloads purple and white bulbs of kohlrabi in the kitchen, next to acorn and butternut squash, their greens and pinks glowing just like the pictures in the catalog. Amazing to see it go from picture to plate, and to know it was her hand that planted and weeded and dug. Fat heirloom tomatoes line the counter, next to cushaw squash and jars of Principe Borghese, grown on the restaurant’s farm and dehydrated to be soaked and plumped and sliced for pizzas and bruschettas deep in the winter, rich with lycopenes and vitamins, when fresh tomatoes are mealy and tasteless and shipped from too far away. Almost everything served at the Harvest Table Restaurant comes from the soil of the hills and hollows nearby. The restaurant sits deep in the Blue Ridge Mountains, on the creakingly empty town square of Meadowview, Virginia, a town in Washington County with a population of about 1,000 where a decade ago people were hankering for a truck stop, a McDonald’s, anything that would bring in a few jobs and maybe lure drivers off the interstate. It’s not the kind of place where you’d expect to find a trendy farm-to-table restaurant, the kind hipsters flock to in New York or San Francisco, or even Richmond, but here it sits, this experiment in doing food right, and in the process saving a community, and perhaps the Earth. Harvest Table gets its tomatoes, lettuce and basil from within three miles, its goat cheese from within 10. Sometimes the chefs go farther for things they can’t get here – to Asheville for fish raised in the outflow of a mountain stream, to the North Carolina coast for fall shrimp and fish, to a company in South Carolina for rice and dried beans. Each step out requires asking whether the purveyors share the restaurant’s philosophy of being small-scale, community-oriented and sustainable. And each time they ask themselves if the food is worth the fossil fuel it takes to bring it in. For lemons the answer is no; for Atlantic shrimp caught in nets that don’t trap sea turtles, yes. It isn’t a parlor game or marketing stunt, it’s a deeply held dedication to sustainability, community and stewardship of the land. And darn good food. 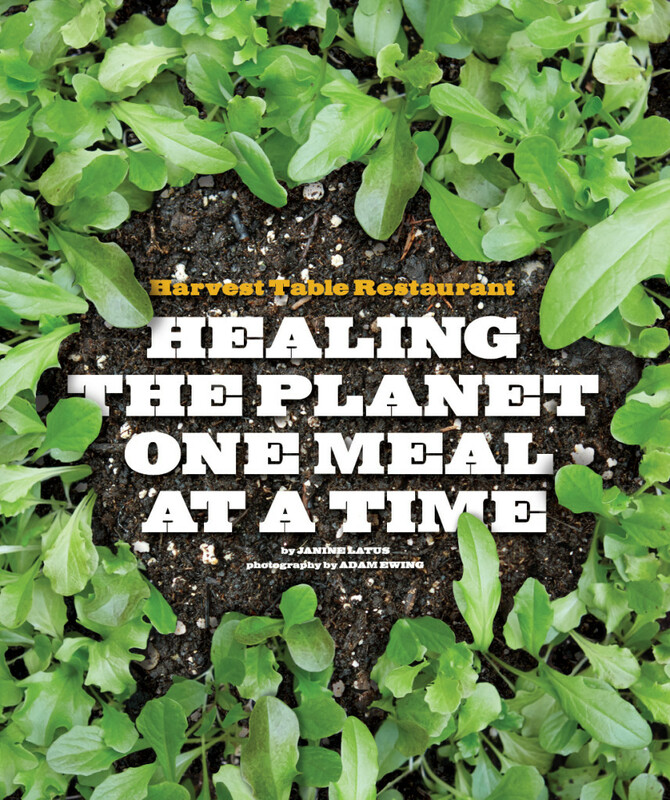 Harvest Table is the baby of Steven Hopp, 61, an adjunct associate professor of environmental studies at Emory & Henry College, and an evangelist for the local-food movement. He and his wife, author Barbara Kingsolver, and their two daughters had just finished a yearlong experiment of unplugging from the industrial food pipeline and eating only what they could grow themselves, or buy or barter from neighbors. 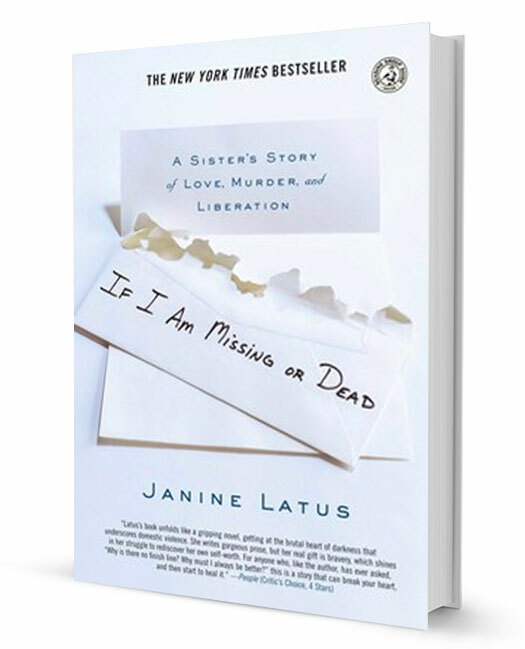 The experiment spawned the 2007 New York Times bestseller Animal, Vegetable, Miracle, the narrative provided by Kingsolver, the scientific sidebars by Hopp and the recipes by daughter Camille. The book changed things, or maybe it was just on the front edge of a wave. “Locavore” was an Oxford dictionary’s Word of the Year. At the very least the book helped advance what some call a trend but what Hopp sees as a return to traditional ways, when people grew what they ate or bought it directly from the farm. He decided to spread that idea to the community. With the support of Kingsolver and a few other investors, he hired locals to renovate two of the square’s abandoned buildings, and brought in Philip Newton, a chef, to help design and lead the kitchen. Hopp hired local cooks and servers, some of whom are still with him. They built a menu around ingredients from his and Kingsolver’s own small acreage, bought green beans from the 89-year-old farmer down the road and eggs laid by nearby grass-fed chickens. He taught his neighbors how to raise livestock humanely, with the promise that he would buy the meat. He bought Icelandic sheep and Dexter cows, all of them adept at turning brambles and weeds into protein. He even bought a miniature donkey to scare away coyotes and feral dogs. Hopp and the family bought up the rest of the watershed, until they owned the whole end of Walker Mountain, 200 acres surrounding about a square mile of hills and hollows and bubbling springs, but also burdock and bramble that had to be bush hogged and scythed before the grazers could stand a chance. Even then, only about 20 acres were usable. Hopp hired Eubanks, now 25, as farm manager. She has a degree in sustainable development with a concentration in agro-ecology from Appalachian State University. He worked with her to find the best use of each microclimate. Down low, near the creek, it’s cool and wet and crawdads burrow up at night and down during the day, tilling the soil and making it perfect for a special type of cutting celery, and someday maybe cranberries or rice. Up on Sky View field, where hogs ranged some 50 years ago, it’s fertile and dry and perfect for peppers, tomatillos and sweet potatoes. There’s a patch that’s compacted and hard to till, but excellent for blackberries and wildflowers. There’s an insect garden for cross-pollination, plus okra and serrano peppers and roosters who crow. Eubanks and her interns each lift a corner to move a pen that allows chickens to peck and dig and scratch in one plot of land at a time, turning the soil and eating bugs, and fertilizing it with their droppings before moving along to another space, perhaps one under the young orchard of plums and pears and cherries. There are steaming piles of compost – blends of wood chips from road crews and manure from local farmers. The view is of 4,500-foot Clinch Mountain, practically in Kentucky. The farm defies a long trend in agriculture toward monocultures – large, flat fields, all planted with the same crop. The point is to live symbiotically with the land, to meet first a family’s and then a community’s need. Newton wasn’t keen on the kohlrabi at first, so Eubanks planted only a small patch for herself and to sell at the farmers’ market. But it didn’t take long for the chef to fall for it – roasted and in soups and mixed with carrots and kale in a dynamite slaw. This year Eubanks will plant more, and get rid of the radicchio – the red and white beauty that grows happily in cool weather but is far too bitter to eat on its own – requisitioning the space instead for the more popular spinach or squash or chard. The texts and calls between Newton and Eubanks are constant. What will be ready next week? Can you bring in more tomatoes? How are you for onions? Once a week Newton walks the farm, noting that the peas have set blossoms and can go on the menu next month, or that the tomatoes are still producing. These are the ingredients he’ll use to make magic. These and local farmers’ excess. The restaurant has been around for eight years, so farmers know to call if they have extra peppers or a bumper crop of mushrooms. Newton rarely says no. There are reliable menu standbys, like chicken carbonara pasta and a vegetarian dish of field peas slow-cooked and paired with Carolina Gold rice and whatever vegetables are in season. There’s pecan-encrusted trout that’s pan fried and served with a browned butter sauce, sweetened with honey from bees feeding on local flowers. He has cooked in a conventional kitchen where the ingredients came in on 18-wheelers, but this is more rewarding, even though sometimes the palates hereabouts aren’t as adventurous as you might find in a hipster city. The locals come often, but Hopp estimates that 40 percent of the restaurant’s customers are out-of-towners – people in the area for Barter Theatre, the state theater of Virginia, in nearby Abingdon, and from Emory & Henry, where students grow a garden and sell food to the cafeteria. They get a lot of what Hopp calls Yelpers – people who use the Yelp app as they’re driving and ask for the highest-rated restaurant west of Roanoke. Some people become regulars, designing trips around brunch or lunch or dinner, which was the whole point. “How do you get outsiders coming and leaving their money in Meadowview?” he says. Because they’re not the same onions, Hopp says, not the same peppers. His are not grown alongside the highway, using wastewater for irrigation. They’re grown here, with spring water. They’re more valuable. But it’s still right. It gets community members involved. Two hundred of them sell their jams and soaps and handmade quilts in the Farmers Guild General Store attached to the restaurant. The old guy down the road just lost his wife, and if he can sell his green beans and then come in for dinner when he’s lonely, then he belongs. So do the kids whose paintings are displayed in their own part of the store, and the local roasters of coffee beans and mixers of spices. In his dreams, Hopp will help create a community canning kitchen, available to his cooks as well as to the neighbors with their green beans and tomatoes and pickled okra. He was among those pushing to refurbish a local historic mill where people can grind their corn into meal and grits, and he serves both at the restaurant and sells them in the store. Their meat is butchered at one of two small packing houses, where workers process fewer than a dozen animals a day, so the restaurant doesn’t get the dark brown meat that shows an animal was under stress. The chefs don’t get lesions or tumors or bruising. They don’t get frog legs from China, where children catch them out of industrial drainage ditches. Hopp knows that by letting his sheep and goats graze and then letting his pasture plants re-grow, he’s pulling carbon from the atmosphere and returning it to the soil. He speaks in paragraphs, interrupting himself to point out a wild turkey, a spider who doesn’t wait in a web but pursues her prey. And the young people love it. He gets Eubanks plus three or four interns working the small plot of land, wandering out in the morning and gathering up a few eggs, an eggplant and some tomatoes and making themselves a frittata. The land is productive and the students have jobs growing actual food. Not corn that has to be converted into maltodextrose, which is a stabilizer for corn flakes. Not high fructose corn syrup, which is not really food. And yes, it’s about darn good food.